1. Preheat oven to 375 degrees Fahrenheit. Grease a muffin tin with softened Real California butter. 2. 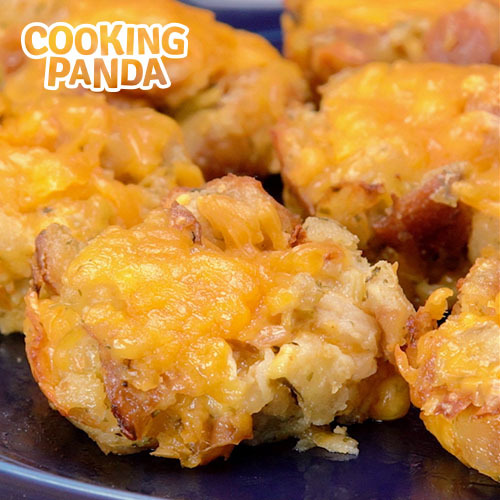 In a large bowl, mix together stuffing, Real California cheddar cheese and eggs. 3. Divide stuffing mixture evenly into muffin cups. Brush tops with melted Real California butter. 4. Bake for 18 minutes, or until cheese is fully melted. Remove from oven and cool for 5 minutes.